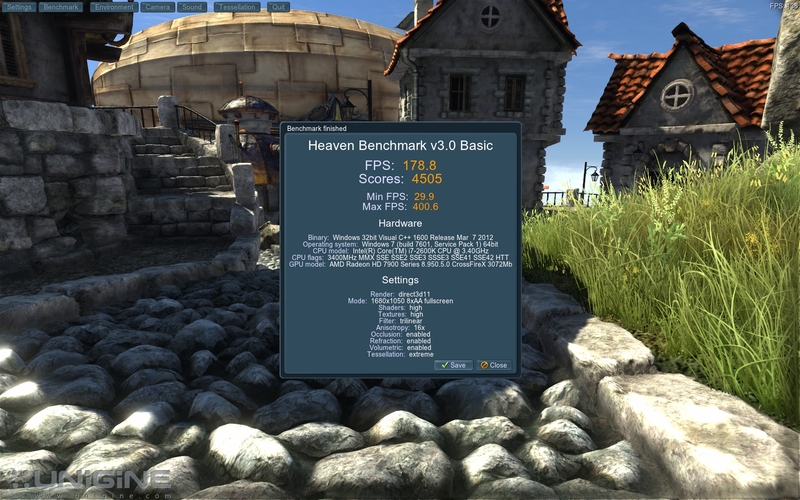 Post Heaven Benchmark 4.0 scores here. Please provide a screen shot that displays the score with the stone walkway displayed to confirm that Tessellation is turned on for score verification. Any score that is posted that does not follow the settings above or does not have the correct screen shot will not be counted. In order to be in the Top 30 Chart, you must beat the score in the position 30 slot. All other scores will appear in the General Score Charts. Any setting or tweak that substantively alters the tessellation effect of the Rock Walkway in your screen shot is disallowed. 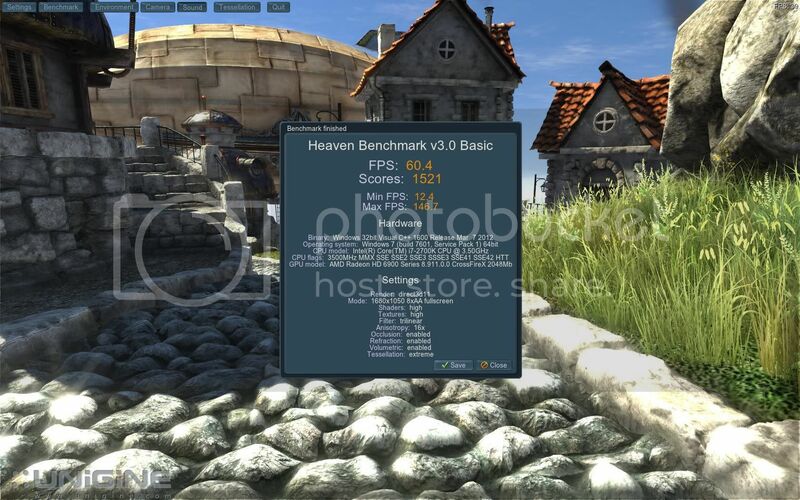 Basic NVCP and AMD CCC tweaks such as "High Performance Mode" single monitor, etc are allowed, so long as the screenshot conforms to visual inspection. Please note the settings above and make sure your runs are configured correctly. Each user can have only one entry in the overall Top 30: Your best score which is > than the score in position 30 at the time the entry is made. Here is my attempt, I'm getting ready to get creamed by the guys with QuadFire and QuadSLI. 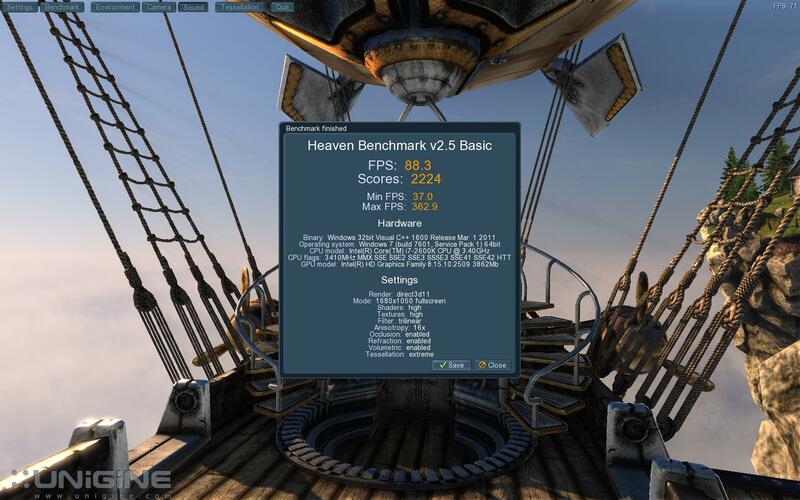 Hopefully when I get this gpu water cooled I can do some 1ghz runs with it.